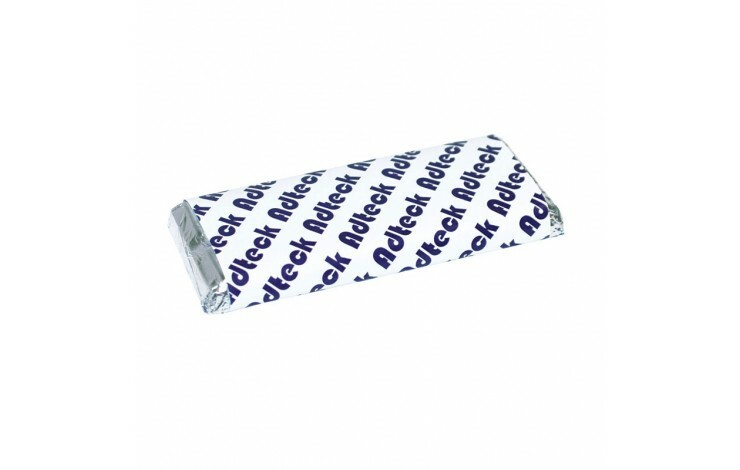 Our promotional 50g Milk Chocolate Bar is a brilliant way to add some flavour to your branding. This solid milk chocolate bar is brilliant goodwill giveaway. 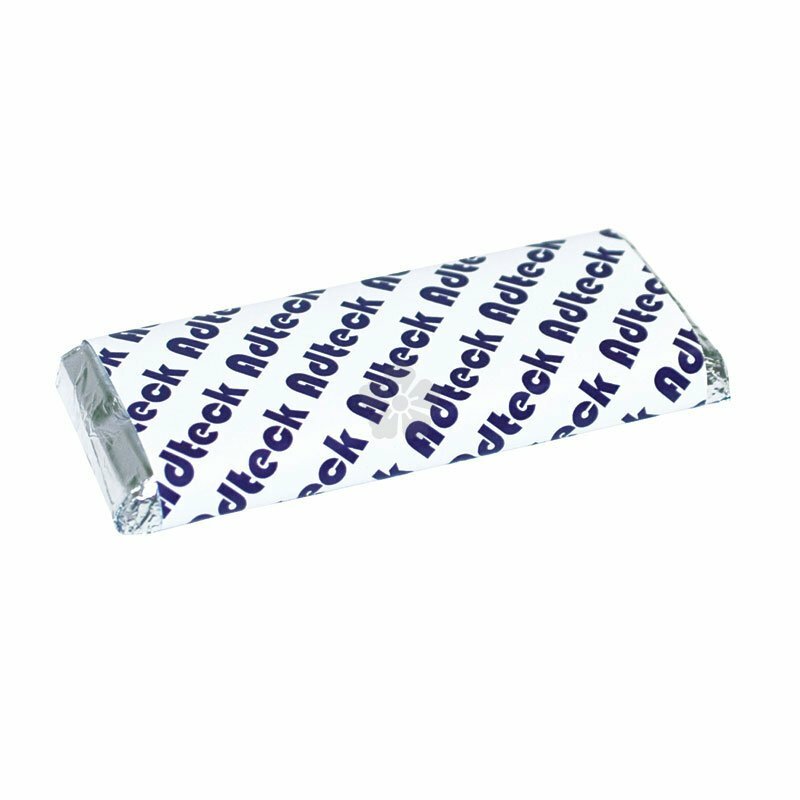 Covered in silver foil, your design is digitally printed in full colour to the paper wrapper, as standard.